Reaching out and seeking help is never easy for anybody, especially when it comes to addiction. There are many excuses that people will give as to reasons to not seek help when it comes to coping with their addiction. One of the main reasons that people with addictions refuse to accept treatment, is because they are stuck in a state of denial. Even though people suffering from addiction might be losing friends, family members, jobs, etc., it takes many people to reach the point of hitting rock bottom before they realize that they have a problem and begin to seek help. Here are some excuses that people will give before they realize that their addiction is out of control, and it’s no longer something that they can manage on their own. As mentioned earlier, denial plays a key role when it comes to someone accepting that they need help. The excuse of, “I can stop whenever I want to,” usually comes from someone who is suffering from addiction, but is yet to admit that they have a problem. This is a tough situation for family and friends of those suffering from an addiction. If the topic of addiction or seeking help is brought up, the person suffering will often try to reassure them that they have everything under control even if that is apparently not the case. Even though this is a common scenario when it comes to addiction, chances are a majority of people who decide to get treatment will relapse at some point. Many healthcare professionals will say that relapse is a part of the recovery process as a whole. People who seek treatment at a drug and alcohol rehab, who then relapse but then go on to make another commitment to staying sober have a high chance of going on to live healthy, addiction-free lives. Reaching out and admitting that you need help with your addiction isn’t something that someone should feel ashamed about. In fact, it takes a lot of courage and self-realization for somebody to admit that they have a problem. 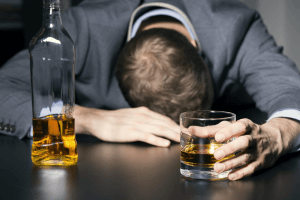 This explains why many people who have received services from a drug and alcohol treatment center will say that the first step in recovery is admitting that you have a problem. If you have talked to someone with an addiction, or if you yourself have used one of these excuses or one similar when the topic of rehab or addiction have come up it might be time to heavily consider contacting a health care professional about drug and alcohol rehabs. Addiction isn’t something that can be beaten alone. Drug and alcohol treatment centers have services that can help you throughout your recovery process in its entirety. Trying to kick your habit on your own can not only be demoralizing if one fails alone, not only because it could deter them from trying again, but in cases of withdrawal, if not done under the supervision of health care professionals could also be deadly. Medical professionals can make sure that your properly detoxing from drugs and alcohol and, with proper medication along with other services can make your detox process as comfortable as possible. The first step in living a healthy and addiction free life starts with the one who is suffering speaking up and asking for help. Whether it’s a friend, family member, or healthcare professional, if you feel as though you are ready to get control of your life back don’t be afraid or embarrassed to speak up.